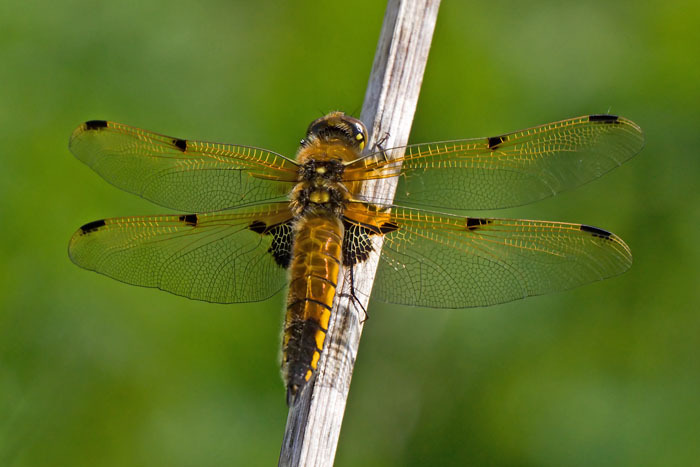 This late, but largely disappointing dragonfly season continues, but surely not for much longer! It was quite surprising to find several of these active today, so late in the season and given low numbers throughout the settled weather in September. Again present this summer, following sightings here every August since 2006. Nice warm conditions today, though quite breezy. 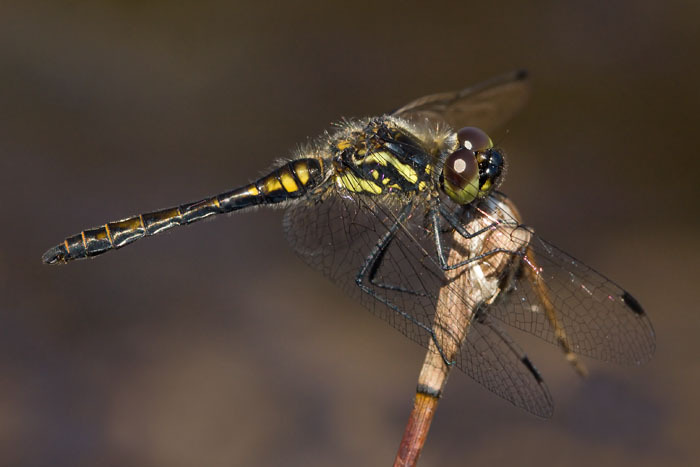 Many Black Darter were present, also one very probable Golden Ringed Dragonfly flew across at high speed. 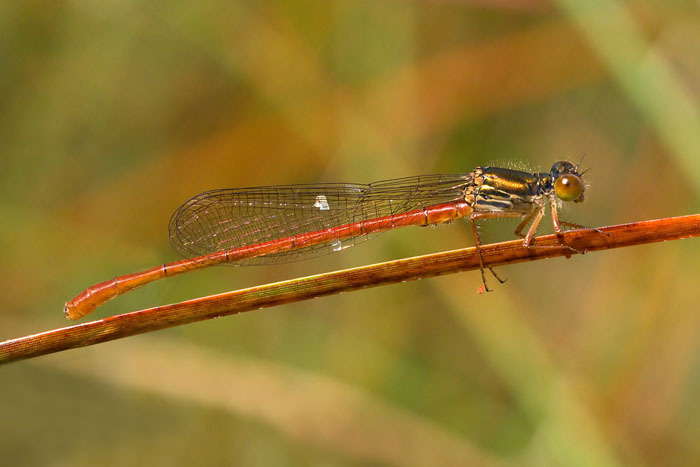 More common species included Emerald Damselfly, Southern and Brown Hawkers. There were about 5 of these at this site today. 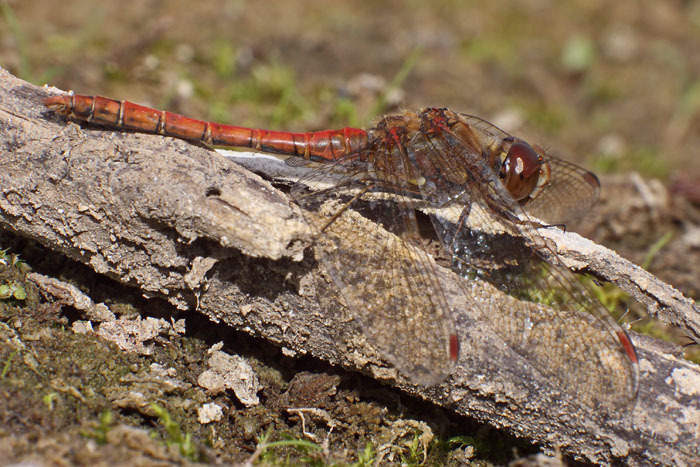 Also present were Common Darters in good numbers and some damselflies, including Emerald (see below). 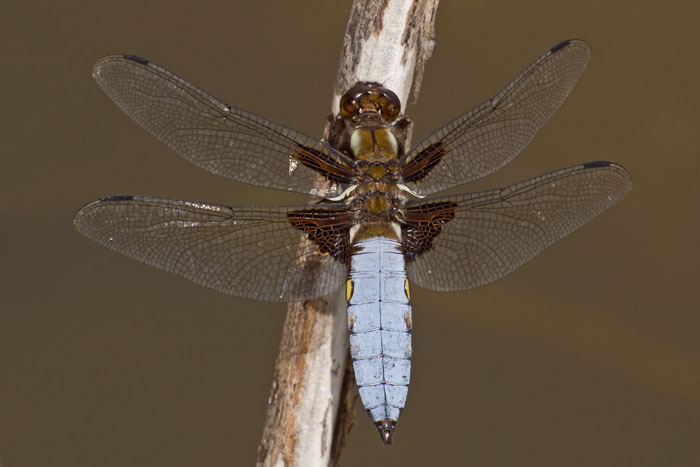 No sign of Black Darter though, which have been seen here previously. Still present in good numbers at this site today. 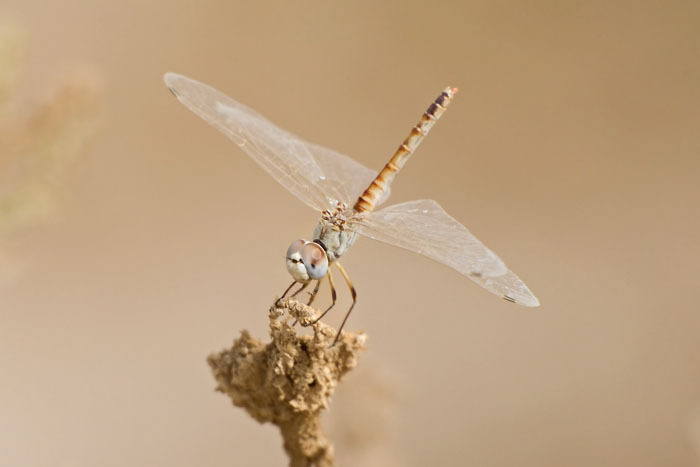 Another EF100mm macro lens pic. Sunny & warm at last! 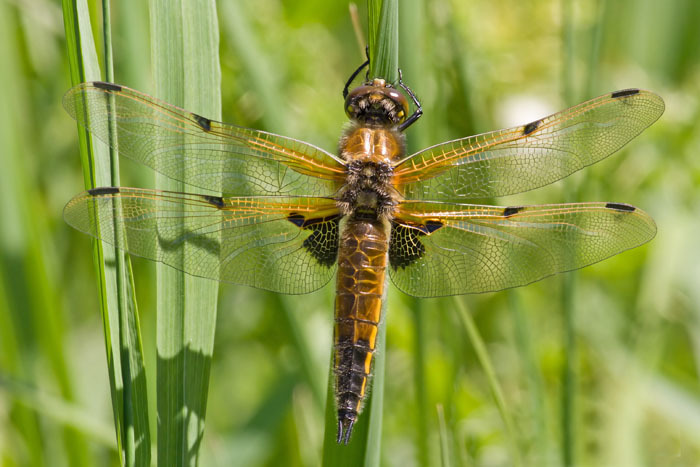 Also here were Four spotted Chasers, Southern Hawker, Common Darter and Large Red Damselfly. My first successful shot with the EF100mm macro lens. 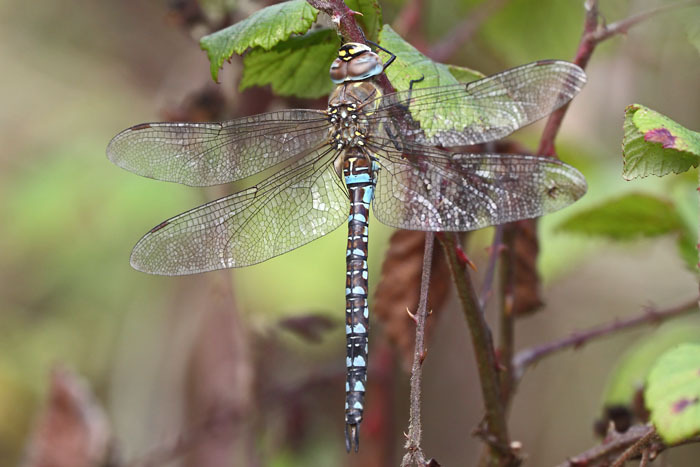 Also on this site were Southern Hawker, Keeled Skimmer, Broad bodied Chaser and Golden ringed Dragonfly (not seen by me, unfortunately). 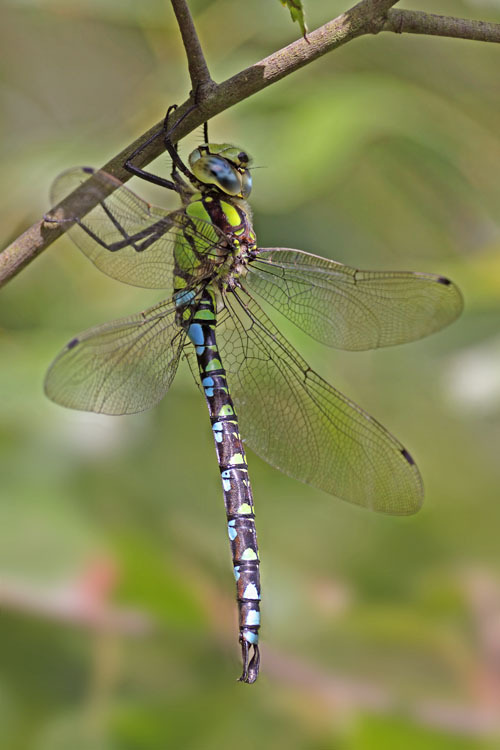 Poor conditions today - cool and windy, with low dragonfly activity. 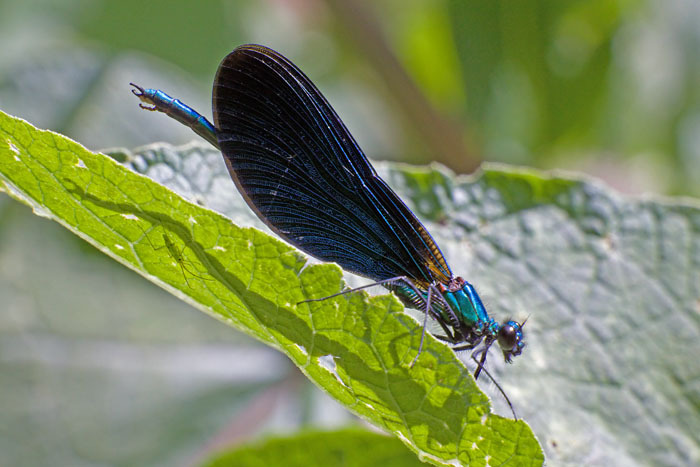 Male Beautiful Demoiselle, Moor Copse BBOWT reserve, Berks. I found only one male along the river Pang at this reserve today. 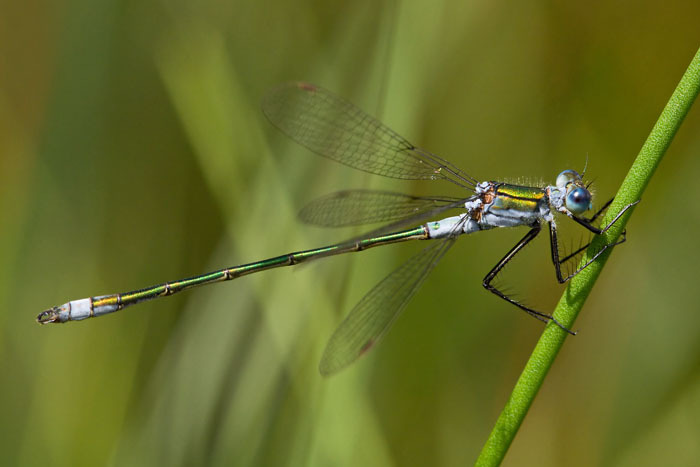 Also on this site were Banded Demoiselle in small numbers, a Brown Hawker and an Emperor. Butterflies included Silver Washed Fritillary. 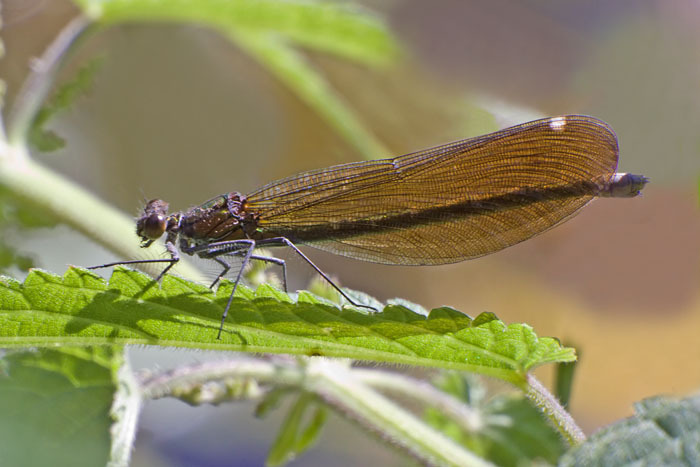 Female Beautiful Demoiselle, Moor Copse BBOWT reserve, Berks. 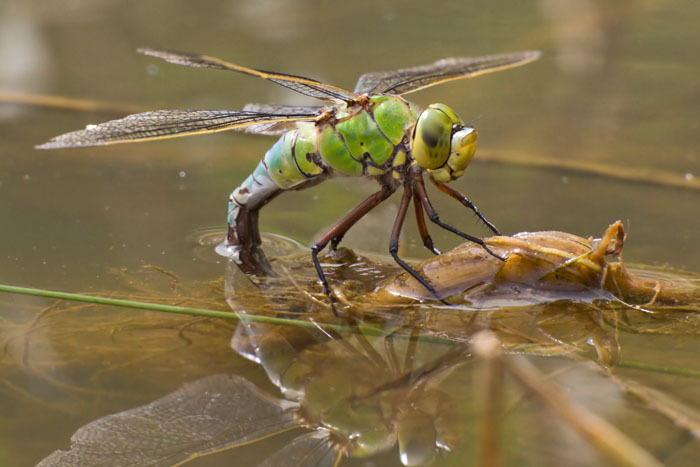 An ovipositing female on the same small pool as the Chaser below. Even flying in the rain! A welcome return of this species to this site, in non ideal conditions. Not seen here for a couple of years or so. 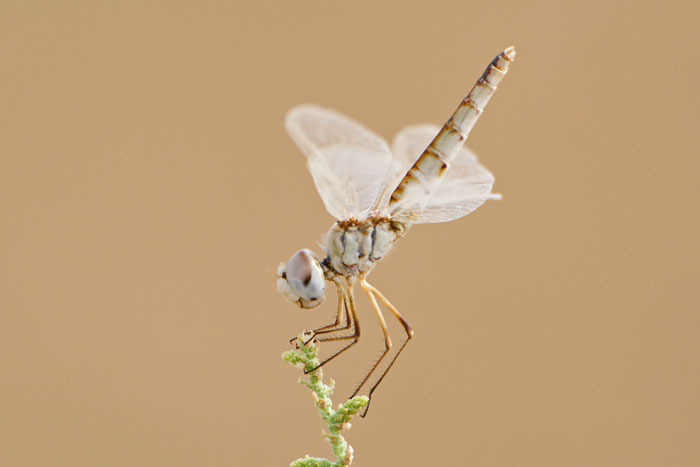 This species was near to a lake surrounded by desert. 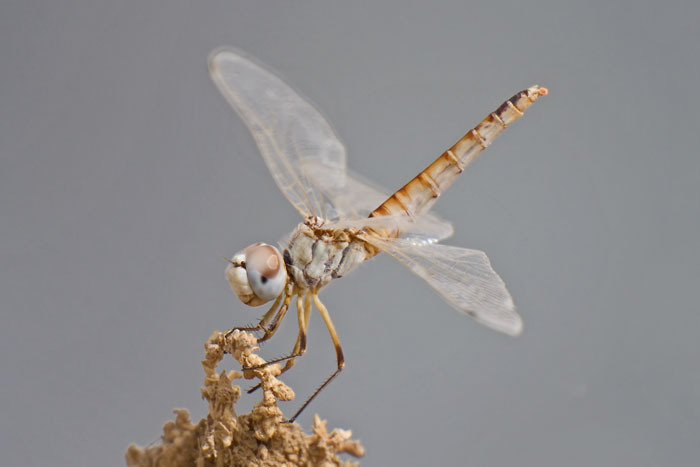 It was initially thought to be possibly a Desert Darter, but many thanks to Richard Lewington for suggesting it was an immature female Black Pennant. 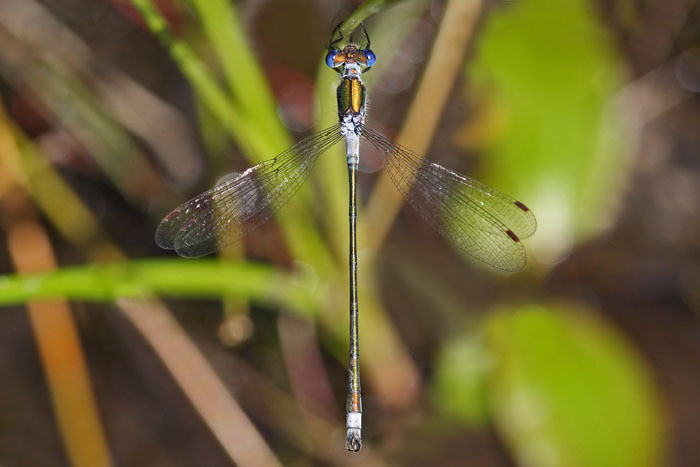 This shot shows the = sign on the pterostigma, which is characteristic of this species. Less distracting background than below. 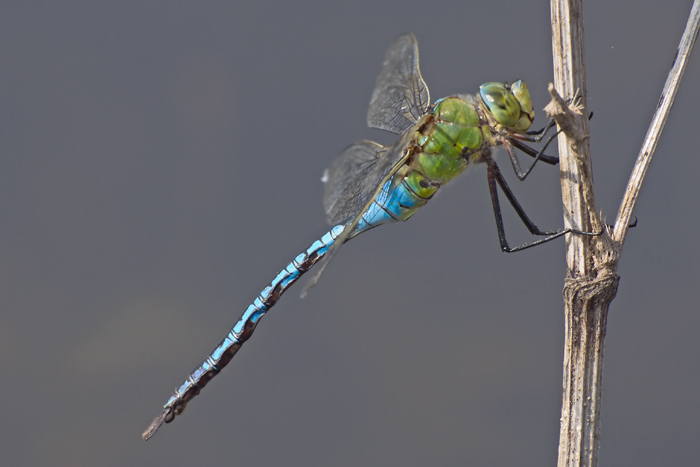 Also present here were Hairy Dragonfly, Banded Demoiselle & Large Red Damselfly. 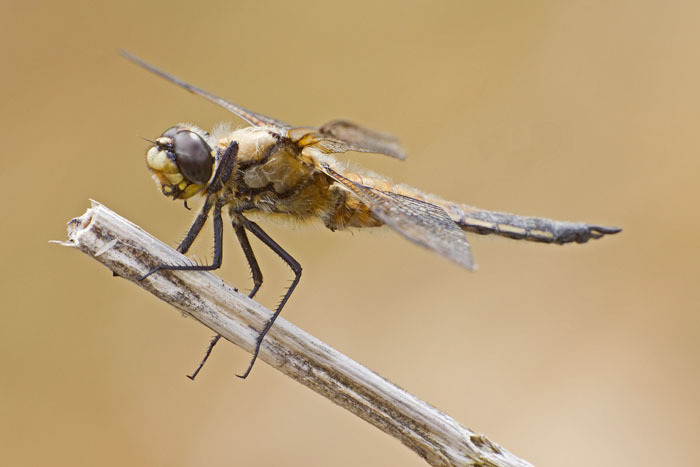 Compared with the Hairy Dragonflies (see below) at this site, these Chasers were much more numerous and obvious. 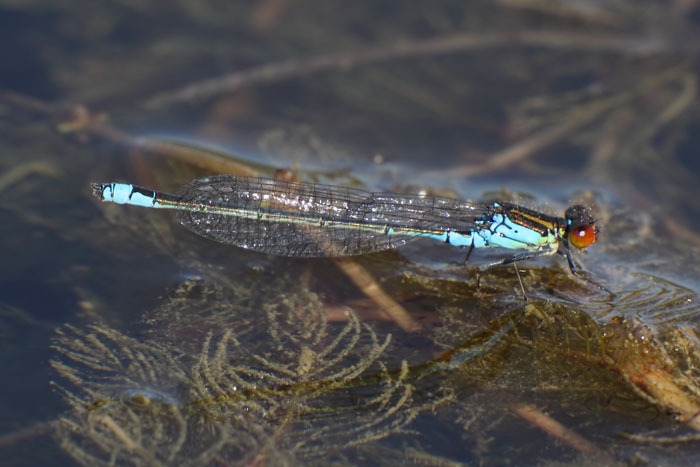 Also present here were Large Red Damselfly, Blue-tailed Damselfly and masses of presumed Common Blue Damselfly. The new season off to a good start with a record shot of this very localised early species. It was not at all easy to photograph! This is a heavily cropped shot of one that landed very briefly right in front of me on the main track. All other sightings were of fast moving flying individuals - next to impossible to get onto with the camera! 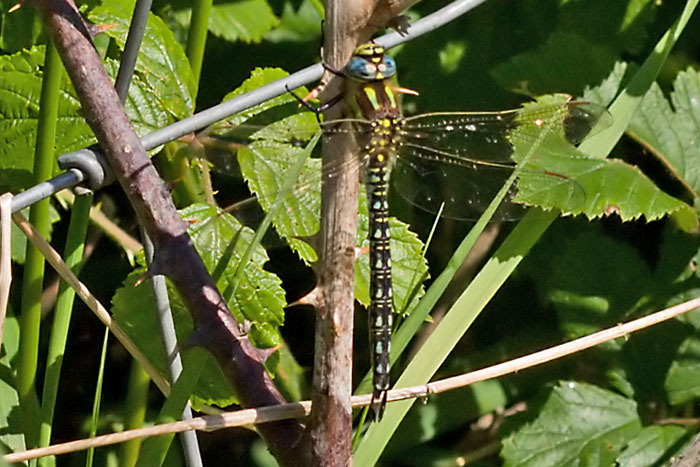 Altogether I saw at least 3 of these elusive dragonflies in the good weather today and yesterday.